Capture the artist within! 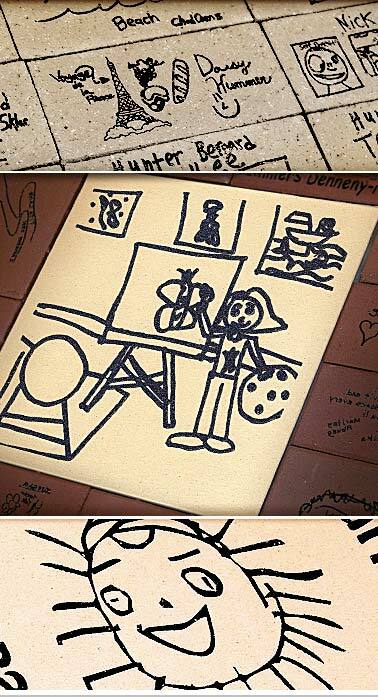 Children’s artwork can be laser engraved on any brick, tile, or black granite. Laser engraved children’s artwork is a unique way for the children to leave a lasting impression of their youthfulness. If they can draw it, we can mark it. Please visit our laser engraved brick gallery for examples. Your success is our goal!